The sale of this particular stuff wrapped in yellow cellophane paper flourishes in Middle East super markets, especially in the Holy month of Ramadan. 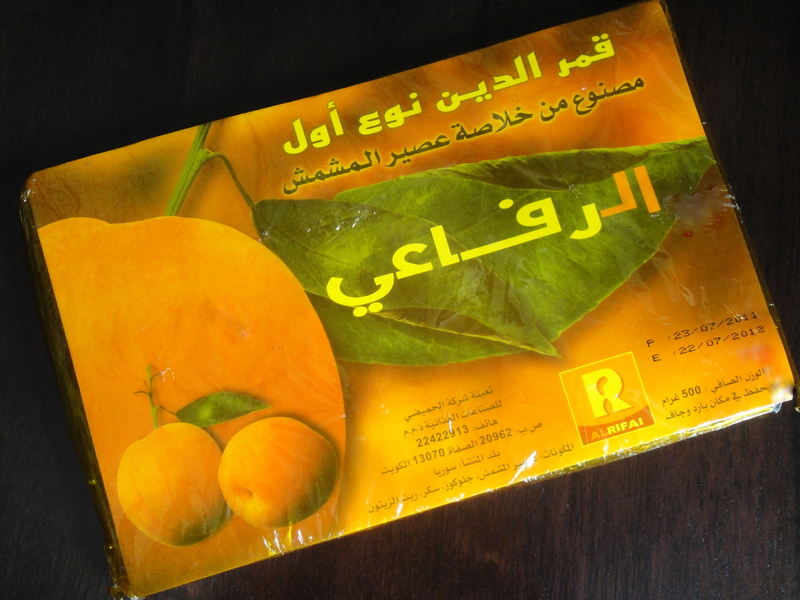 A glimpse of the product, the image of apricots on the cover and ingredients list stating apricot pulp, glucose and olive oil (was thankful that atleast some of these food labels were in English), took me down memory lane. It reminded me of the mango or orange pulp sheets that I used to be so fond of during my college days. I vividly remember the two different brands in neat little packages, which I often used to share with my friends as we chilled out in the canteen. As I was reveling in the glory of finding something similar, a look at another make of the same commodity bore the picture of a glass of juice on its label. Then I understood that this pulp had to be prepared in to a juice and then consumed. At the same moment I also realized that my skill of deciphering from images had greatly improved by now… those were the only comprehensible portions for me among the Arabic sprawled across most of the food wrappers :-). 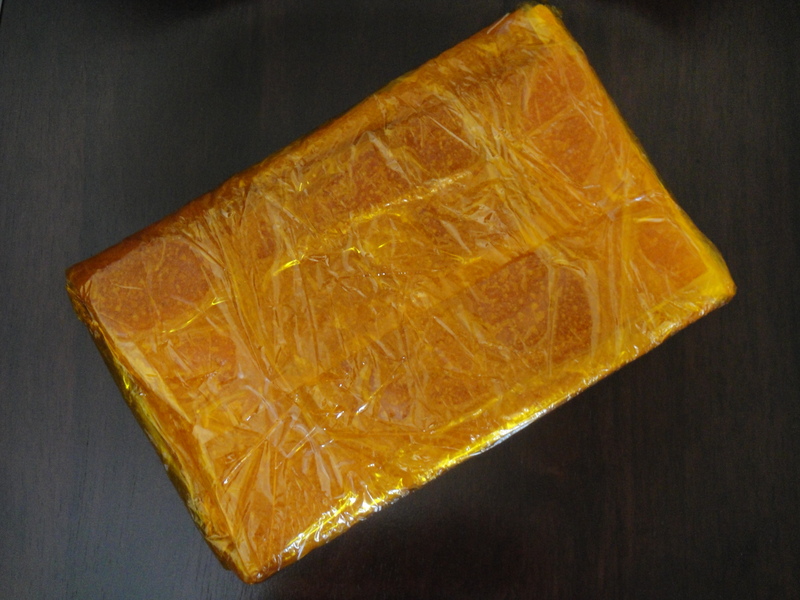 The dried apricot pulp sheet is referred to as “apricot leather” as it hard to touch but still malleable; it is locally known as “Qamar el din” and is commonly used in making juices or puddings. Take about 250 g of apricot leather. Cut it into small chunks and transfer them into a bowl. Add sugar to the chunks depending on the sweetness you desire. Remember the pulp already contains glucose. Pour one litre of boiling water to the mixture and allow it to soak for about 3-4 hours so that the pulp dissolves completely. Stir the mixture occasionally. Now warm the concoction once again to dissolve any remnant chunk, cook the pulp and to intensify the flavour. Allow it to cool down, refrigerate and serve chilled. 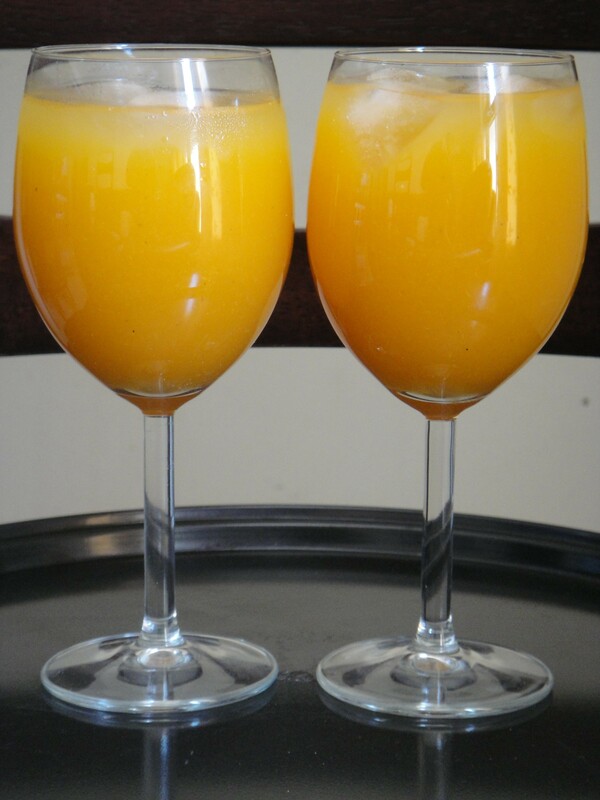 And there is the popular Qamar el din drink offered during iftar. This is certainly not a juice that can be made on the spur of the moment…it requires preparation in advance…but it is definitely worth the time and pain taken, considering the energizing drink that is the outcome. I personally thought that the whiff of unctuous flavour that emanated from the drink on addition of boiling water and on warming, may make it a little less endearing. But to my surprise, the oily flavour had mellowed so much on cooling that it nearly seemed non-existent. If you still want to make it healthful and flavourful, then you should probably start from the scratch…attempt preparing the apricot leather at home, for then you would be free to substitute honey in place of other sweeteners, add a punch of lime juice and also omit the fatty additives that are so common in the commercial versions. The fruit leather wrapped in cellophane sheets can be stored in airtight containers and used when needed. Posted in Beverages and tagged Amar el din, Apricot extract juice, Apricot leather, Apricot pulp, Qamar al din, Qamar el deen, Qamar el din. Bookmark the permalink.